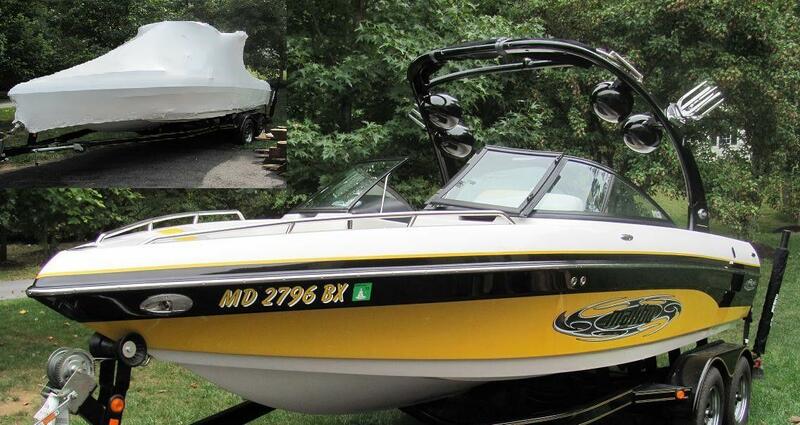 Our shrink wrapping service for power boats covers all of the runabouts, jetboats, bow riders, center consoles, pontoon boats and any other boat without a bridge Mr. Shrinkwrap can give you the best value by wrapping your boat down to the waterline and protecting your surface from the sun. Book your service online below or call us at 800-847-5290 to reserve your spot on our list. 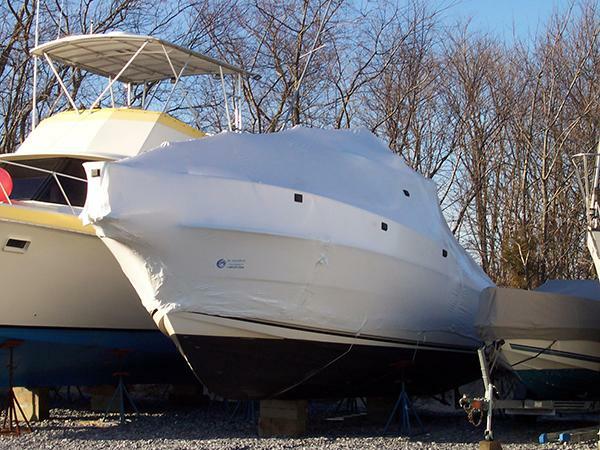 Just let us know on what day your boat will be made ready and available for shrink-wrapping and we will have the boat shrink wrapped typically within ten days of the make-ready date but you need not lift a finger as we will be at the boat and gone in a jiffy. Just give us the instructions on where to put the cover, add a reuseable zipper door if you like and let us know any other details that we may be able to handle for you with the final buttoning up of your boat for the off-season.